Arsenal have become a selling team, and it grows more apparent every season. While their rivals have spent big and plundered their rivals for quality signings, Arsene Wenger has seemed far too content on allowing his best players to leave, especially to the Manchester clubs. As a club who has supposedly been challenging for the league title for most of the last decade, this policy is just bewildering. It is difficult to say, but one wonders just how much Arsenal’s fortunes would have differed if they had made more of an effort to keep hold of their stars over the years. Alexis Sanchez is the latest example, finally completing his move to Manchester United. Arsenal have received Henrikh Mkhitaryan in return, but the departing Chilean is certainly the best end of the deal. In a slideshow that should come with a warning for Gunners fans, here are the 5 best players Arsene Wenger allowed to leave Arsenal or, put another way, the 5 worst transfer decisions of his Arsenal career. 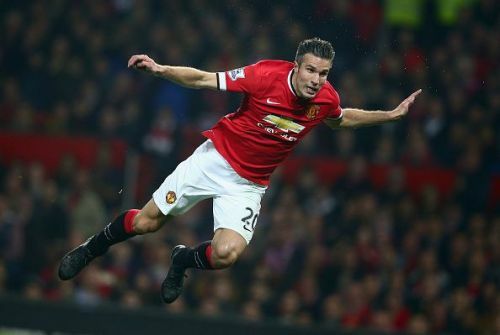 The undisputed and most famous case, after an incredible 2011/2012 season van Persie made the move to Manchester United in search of an elusive league title. He duly found what he was seeking: the Dutchman was sensational leading the line for his team, firing 26 goals in 38 league appearances. He was a player at his absolute peak, in world-class form, allowed to leave for arguably their nearest rivals. It would have been simply unthinkable even 10 years prior: imagine the backlash had Wenger let Thierry Henry or Robert Pires go to Manchester United at their best, as the two teams battled each other for silverware. Perhaps it was a sign of Arsenal’s slow decline under Wenger but his team were not in terrible shape, and if van Persie had stayed no one knows what the outcome would have been. Manchester United certainly needed him, and it is not hyperbolic to state that he was the main reason Sir Alex Ferguson retired a league-winning manager. To add insult to injury, van Persie, naturally, scored against his old club, even celebrating the goal in front of the fans who used to adore him. A glory hunter he might have been, only interested in personal triumph, but what can’t be denied is that he was a game-changing footballer. Arsenal fans were left to ponder what would have been possible with a few more years of their talisman up front.